Our rescue efforts at Devore Shelter are never ending. Every day, new cats are admitted to the shelter and, every day, new cats are added to the euthanasia list. Devore Shelter only allows a limited time for animals to be rescued or adopted once they come off their mandatory 5-day intake hold after admittance. That’s where rescue groups like ours come in. Without a lot of foot-traffic at this off-the-beaten-path shelter location, rescue groups like Kitty Devore Rescue are crucial in attempting to ensure the cats admitted to Devore are saved and go on to live happy, healthy and well-loved lives. Our team of rescuers work diligently on a daily basis to coordinate rescue plans for these abandoned kitties. However, once saved from the shelter, the process of getting them ready for adoption according to our standards is, well… a process! 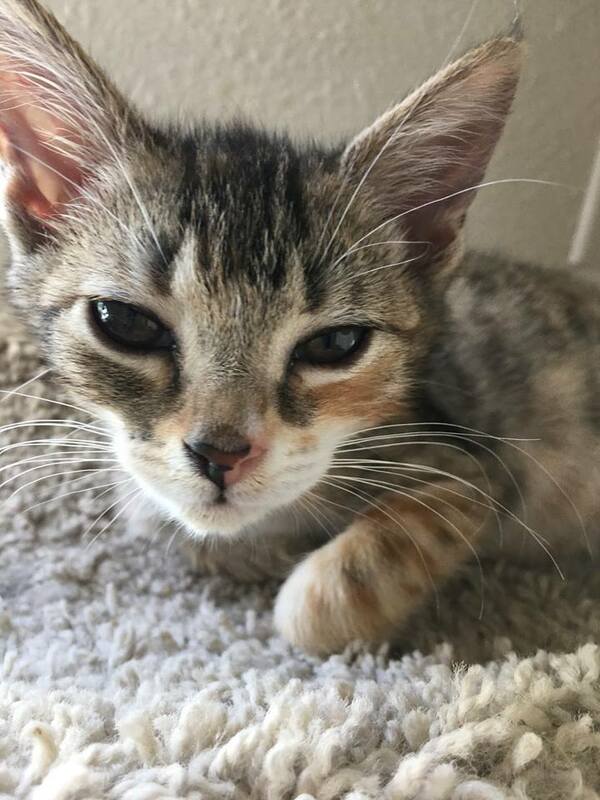 Most kitties exiting the shelter have either contracted kitty colds while there or will develop one not long after they’re placed in the home of one of our approved foster members. 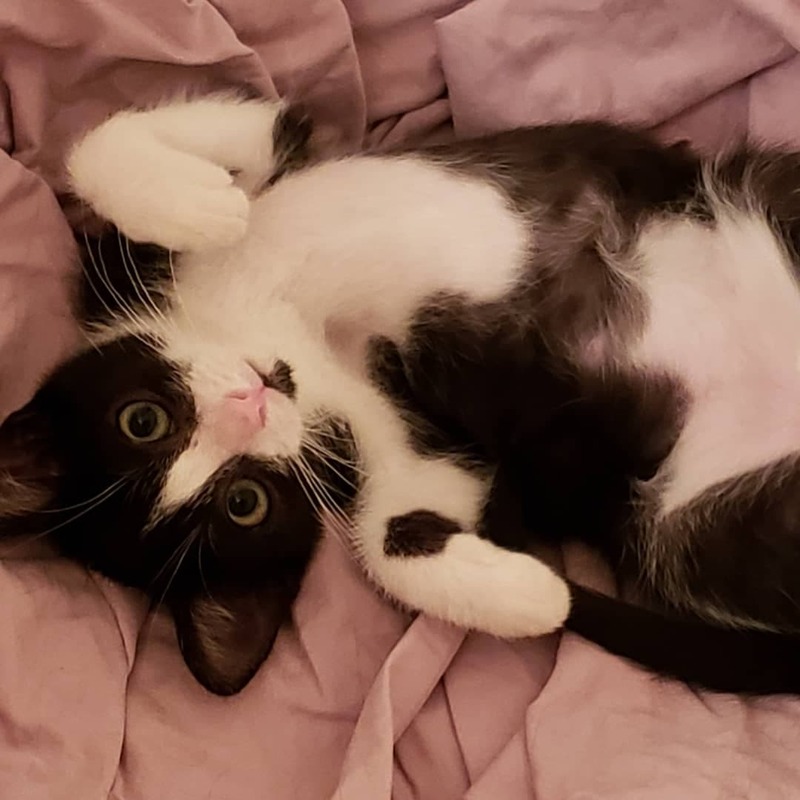 Our job as foster parents is to first get the kitty over whatever contagions they may have acquired while at the shelter. This can take anywhere from a week to a month depending on the issue and strain of URI (upper respiratory infection). Not all cats develop kitty colds but we anticipate most will – because most do. Once a kitty is well, they can begin their vetting process. This entails being tested for feline leukemia (FeLV) and feline immunodeficiency virus (FIV), sterilization, vaccinations, deworming, deflea and microchipping. 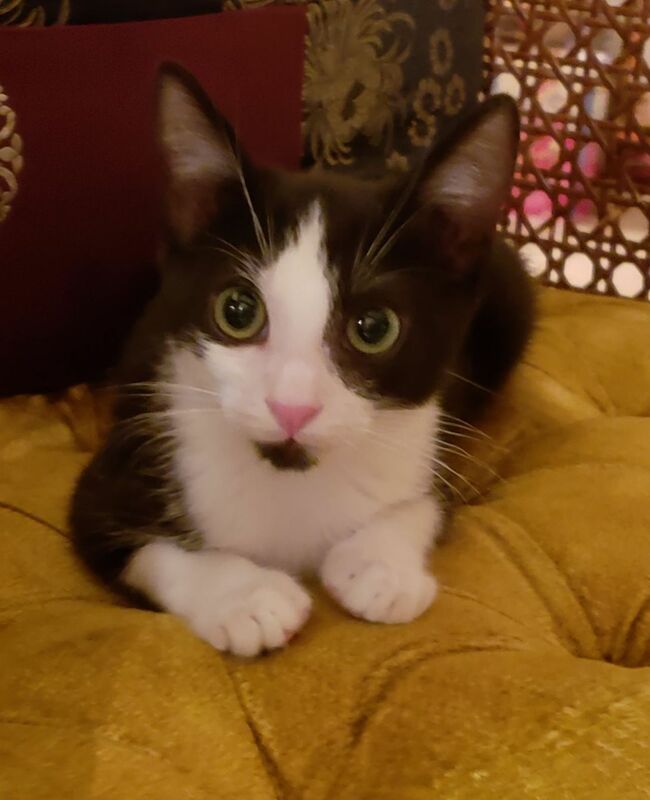 Additionally, all Kitty Devore Rescue foster kitties are examined by one of our veterinary partner veterinarians so that all observable and discoverable health issues can be addressed. At minimum, this process can take a month and a half. Sometimes it can take much longer if there is a more complex issue that needs to be addressed. We often rescue pregnant momma kitties as well as nursing moms with kittens under the age of 8 weeks old. When the kittens hit the 8 week mark, they begin their vetting process. Usually it’s completed by the time they are about 13 to 16 weeks old. Once complete, they are cleared and available for adoption. Below are several of the up-and-comers in our foster care program who are currently undergoing their vetting process. They have not been cleared for adoption yet – but will be soon! Each of these kitties is available for pre-adoption so, if one of them captures your heart and you’re willing to wait a brief period of time for them to complete their vetting, submit an application for them. 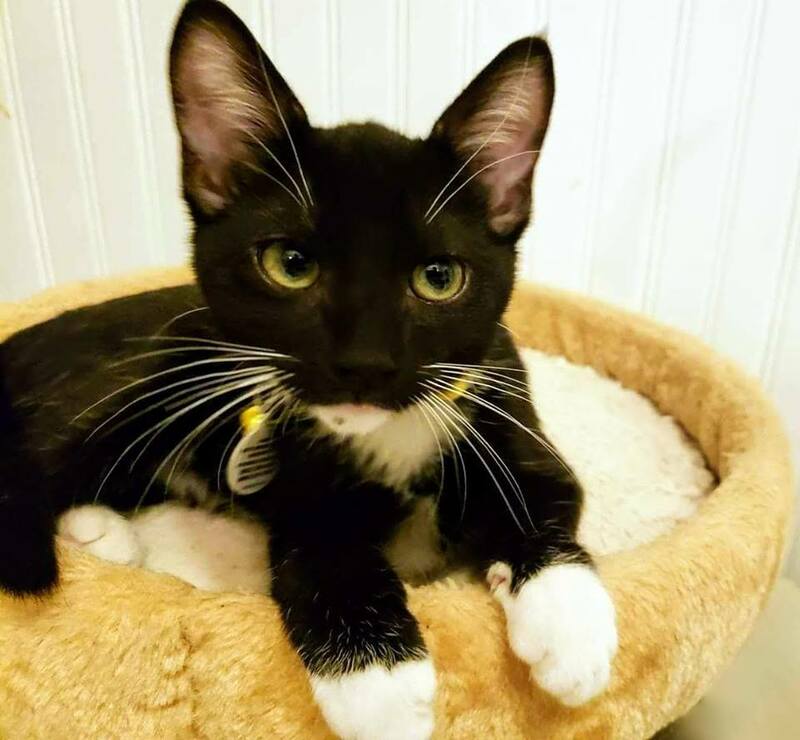 If pre-approved, you are guaranteed first dibs at adopting that specific kitty. Gorgeous Kalea was rescued from Devore Shelter in mid-July, 2018. She was estimated to be about 5 years old at the time of her rescue. 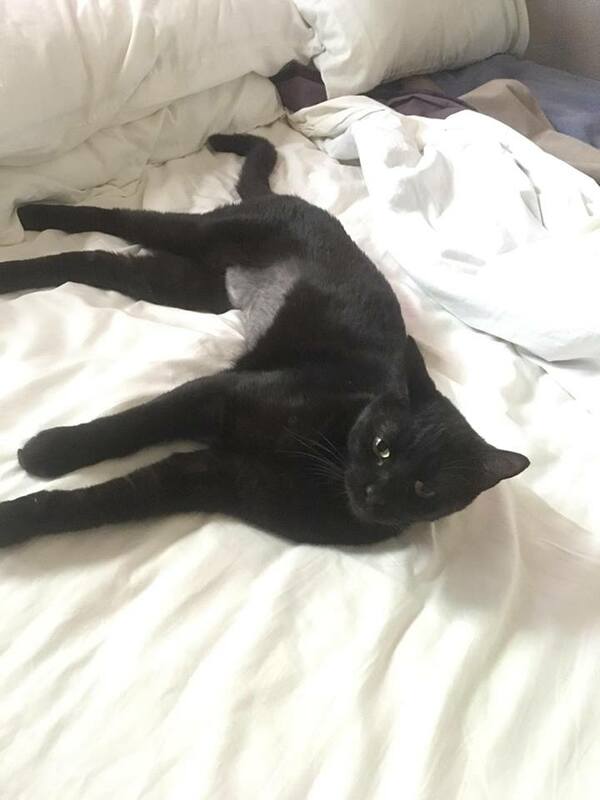 Her foster mom, Jen, describes her as “the raddest cat!” Not only is she sleek, sophisticated and gorgeous but she’s got a fabulous personality as well. Kalea is nearing the completion of her vetting process and is slated to be cleared for adoption in September. It took a little while for us to determine which kitten was which when we rescued Momma Maura and her four boys from Devore. As you can see, they’re all variations on a black and white theme! 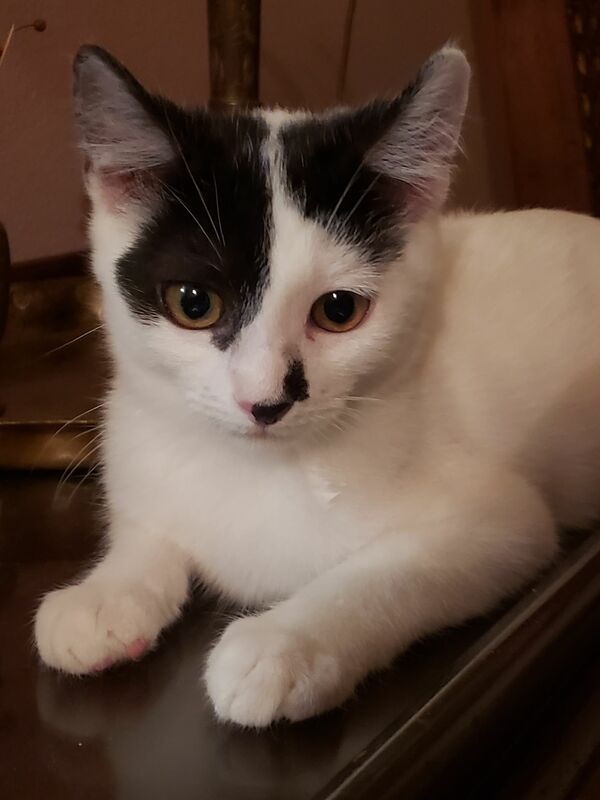 Maura and her little guys were rescued from Devore in mid-July of 2018. She was estimated to be about 3 years old. Her boys – Cogs, Bryz, Getzy and Jiggy – were born May 20, 2018. They are adored by their foster mom, Vicky, and are slated to be cleared for adoption in early October. They are all currently being fostered in the Rancho Cucamonga area. 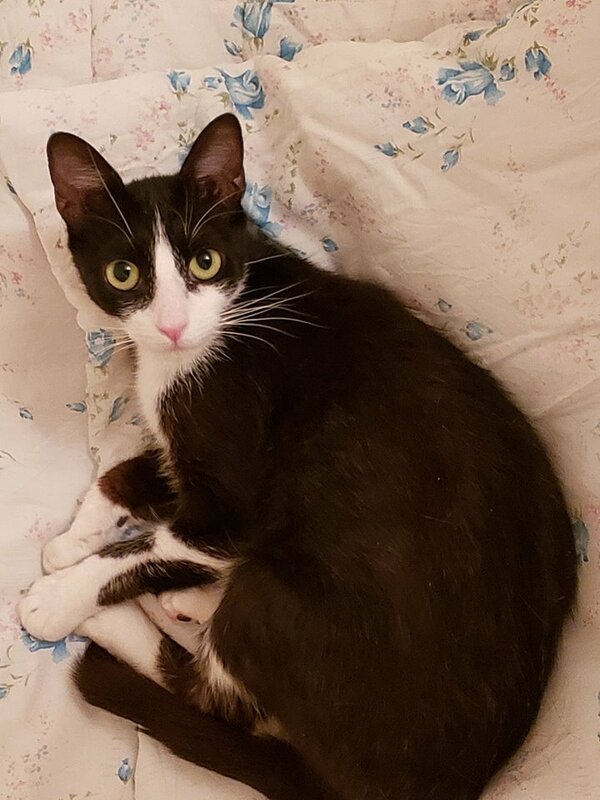 2 year old Margot was rescued from Devore Shelter by the KD team in early September 2018. When she was initially admitted, she was very frightened and bit a shelter worker when they attempted to handle her. 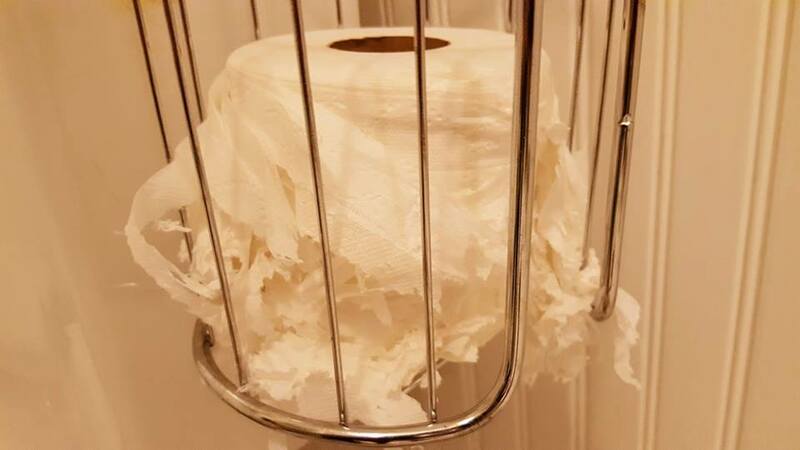 She wound up on Quarantine Hold for 10 days as a result. 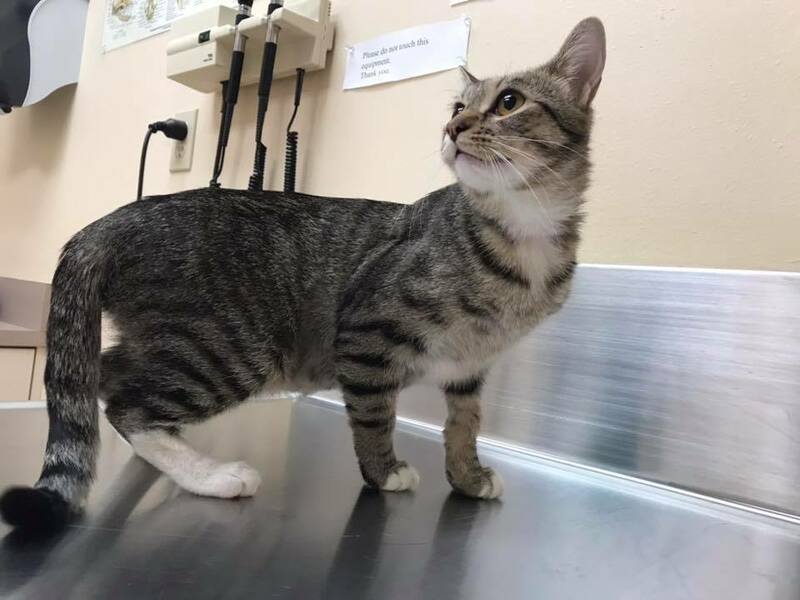 During that time, she calmed down considerably and, when she was re-evaluated by shelter staff on her review date, they determined she was a very friendly kitty, indeed. September is always a tough month in rescue. 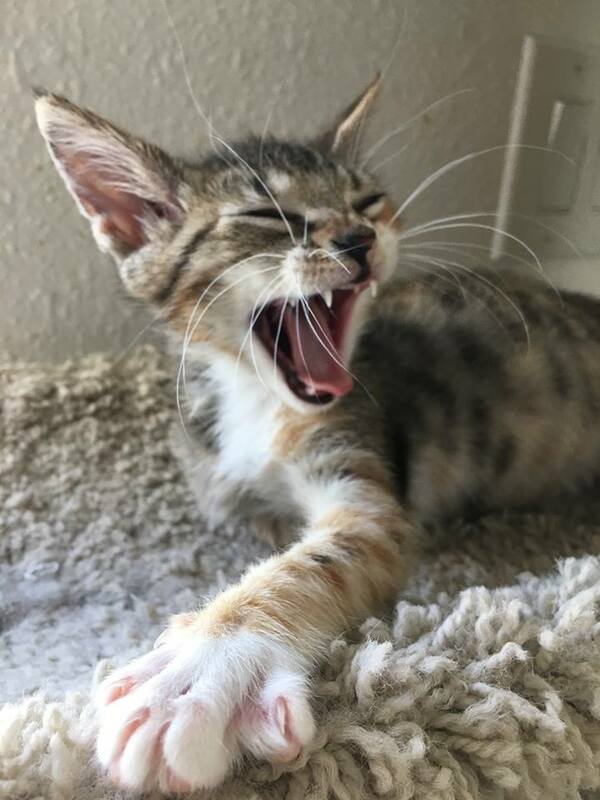 It’s the end of Kitten Season but, since it takes time to vet kitties to get them ready for adoption, most of the cats we’ve taken into our foster care program over the summer are not ready to be adopted. Foster homes are full and there are very few placements available. So it did require some fancy rescue coordinating to get Miss Margot saved. 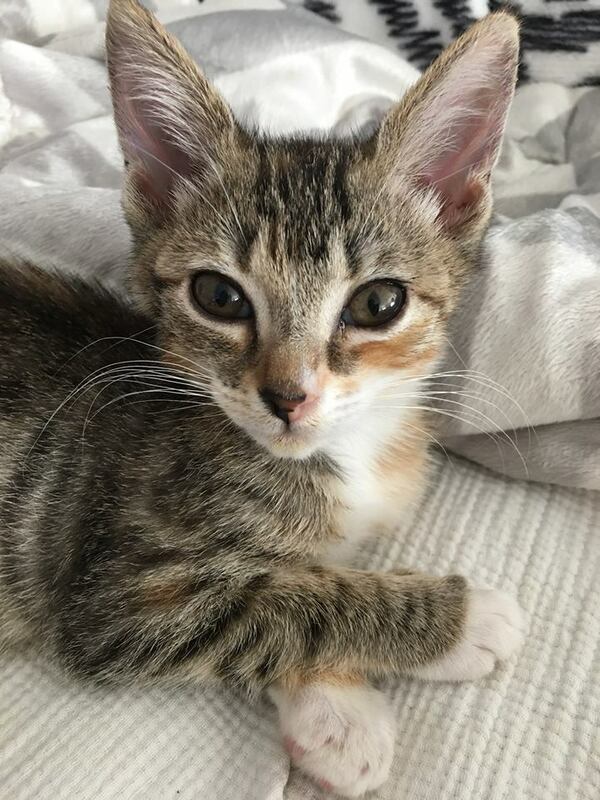 Margot will be temporarily fostered through her 10 to 14 day ISO period by foster mom, Wendy (and her adorable daughter, Lilly – who helps considerably with the socialization work for all foster kitties fortunate enough to stay in their home. When she’s been vaccinated, she’ll move on to the home of foster mom Aileen and her two sons, Justin and Jeremy (who also help a lot with socialization work!). Aileen will complete Margot’s vetting and ensure she’s cleared for adoption. 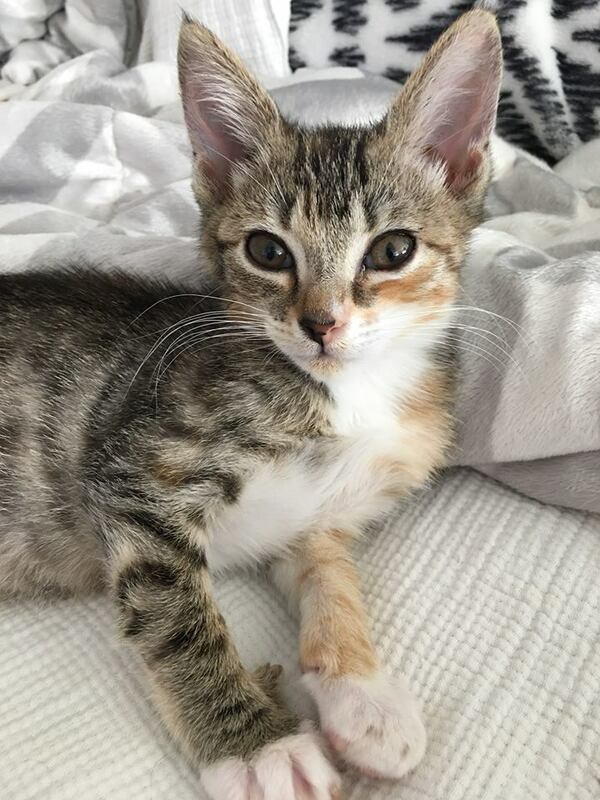 Margot will then have a turn at staying for 2 to 3 weeks at our adoption venue at the Santa Ana Petsmart. If she is not adopted, she will then travel down to San Diego to stay with her long-term foster family, Amanda, Brandon and their new baby, Cady (who we are certain will also help with socialization work when she gets older). Brother and sister duo, Tremaine and Trinkette, were admitted to Devore Shelter when the pair were just 9 weeks old in July, 2018. They were both rescued together the very first day of August. 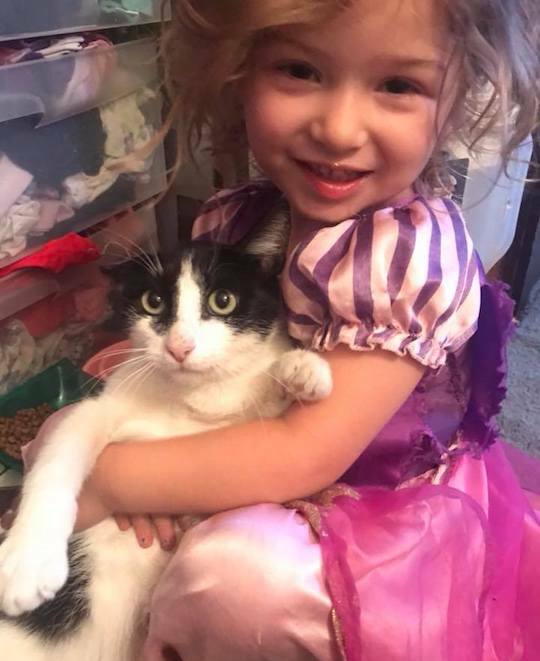 Both stayed with their temporary foster mom, Edenia, who got them through their 14 day ISO period and then moved on to be cared for with another temporary foster mom, Rebecca, who got them both ready to be picked up by their long term foster parents, Debra and Donald. You see, Debra and Donald live in San Jose. It’s a bit of drive from Devore Shelter so they needed some help from other members of the KD Team to get these two troublemakers safe. Debra says they’re a joy but also quite a handful! Tremaine is next to impossible to get pictures of because he won’t stop moving and wants to check out the camera. That’s not surprising though. Black cats are among the most intellectually curious of the feline realm. And quite, ahem, creative, too. These wonderful siblings have almost completed their vetting process and should be ready for adoption in late September/early October. 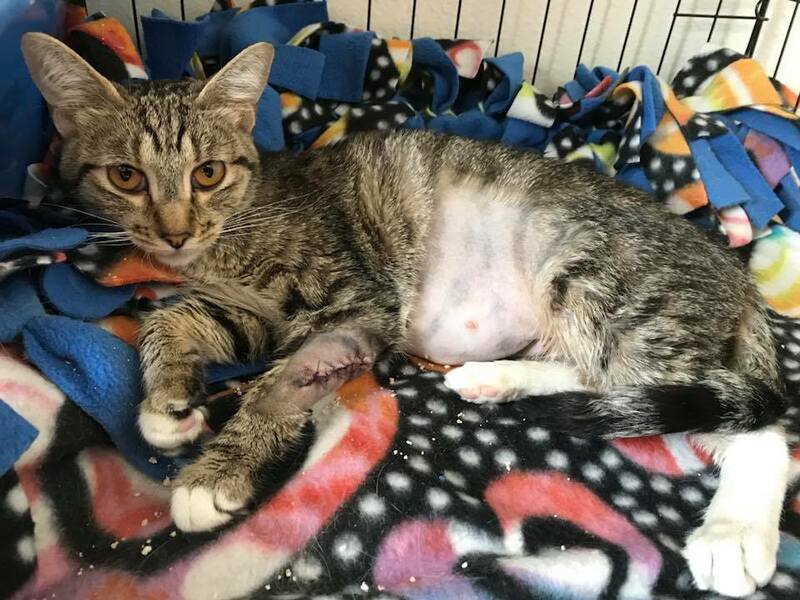 Aubryn was determined to be pregnant while she awaited rescue from Devore Shelter in August 2018. 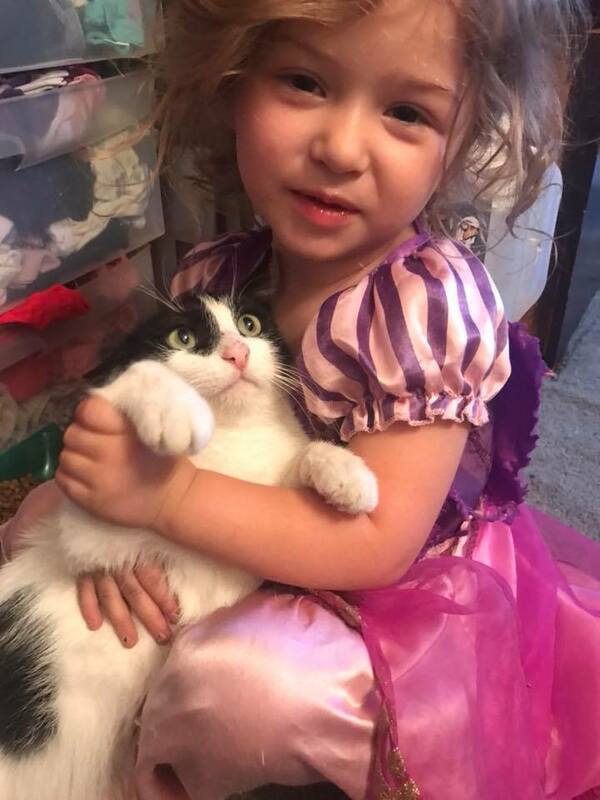 One of our longtime foster moms, Joyce, stepped up to foster her and was eager to get Aubryn comfortable and settled in anticipation of welcoming a new litter of kittens. However, it was not meant to be. 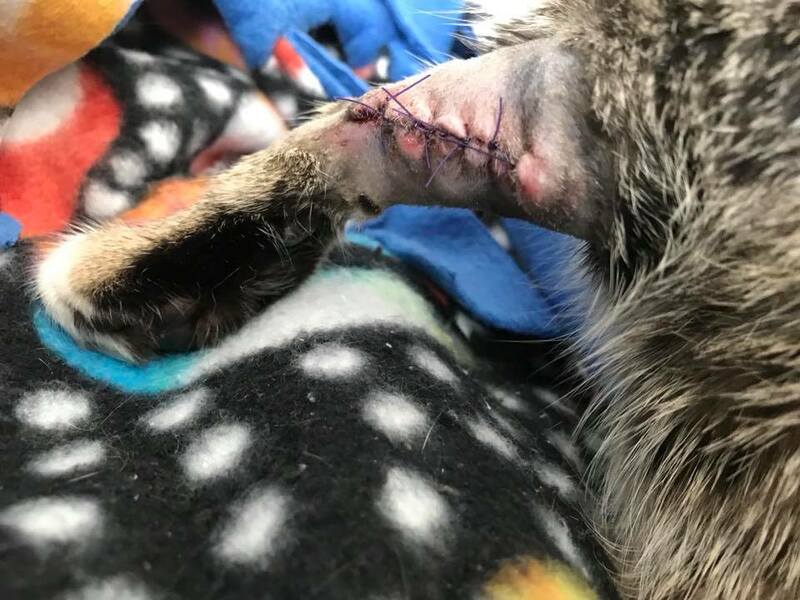 The shelter staff discovered Aubryn had a gash on one of her front legs and, once we got her safely out of the shelter, it was clear the wound would need to be cleaned and stitched. This would require Aubryn to be anesthetized. While under anesthesia, she went into spontaneous premature labor. Unfortunately, all the kittens were too young and underdeveloped to survive. All were lost. Since she was already under anesthesia and none of her premies survived, the vet opted to spay her and spare her being put under anesthesia again. In addition to this, when Aubryn was tested for FeLV and FIV, she tested a faint positive for feline leukemia. Not so very long ago, FeLV was considered a fatal death sentence for kitties. Once diagnosed, life expectancy was no more than 2 to 5 years. 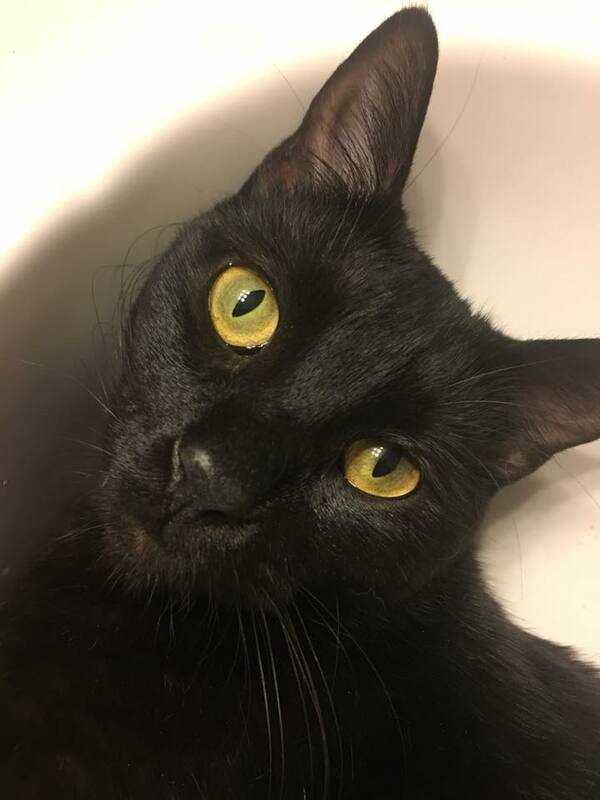 However, veterinary technology has advanced in the past few years and there are two different methods of treating and in a majority of cases, reversing feline leukemia. One method is T-cyte therapy. The other is Immunoregulin and B-12 injection therapy. Both therapies require injections given every few weeks from anywhere from a few months to a year. In every instance upon retesting, we have seen FeLV results reversed from positive to negative. Aubryn is undergoing Immunoregulin and B-12 therapy and doing fabulous. 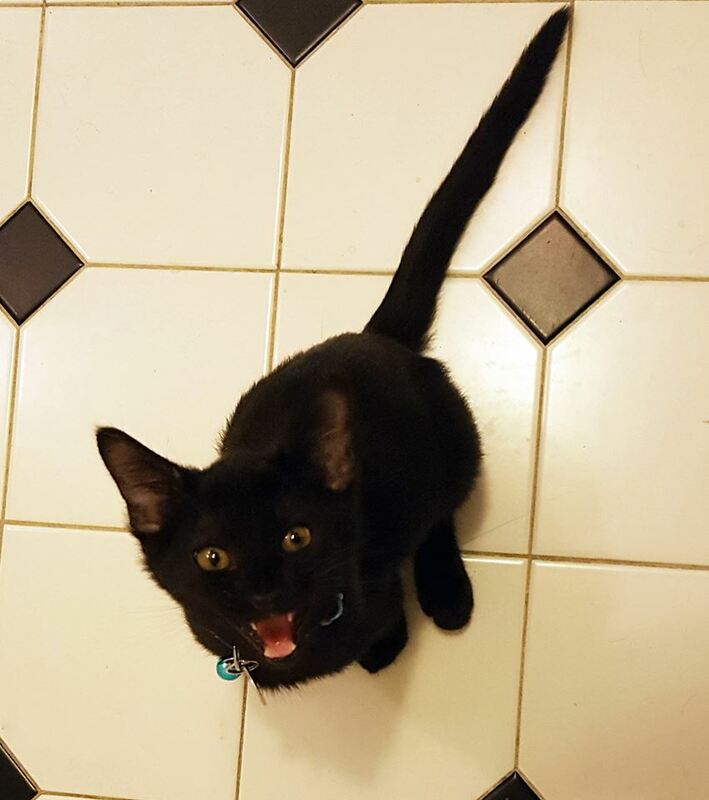 She has gained 3 lbs since her rescue and is as happy and chipper as the healthiest of healthy kitties. She’ll be retested in December. A very pregnant Seska was admitted to Devore Shelter in July 2018. Not long after she was admitted, she went into labor and, over the course of three days, she gave birth to eight kittens. EIGHT! Rescuing such a large family isn’t easy when smack in the middle of Kitten Season and when all foster parents are already overloaded and overwhelmed. So, in order to get the family safe, Kitty Devore Rescue joined forces with Sierra Pacific Furbabies Rescue and “split” the family. Everyone would be going to one foster home but, when the kittens were of age, some would be SPF kitties and some, along with momma, would be KD kitties. Two of the kittens were too weak and died while Seska was still in the shelter. After the family was rescued and over the course of several weeks, four more passed away. The family’s foster mom, Summer, tried everything she could to help the babies thrive but several of them were simply too ill and failed to thrive. Eventually, all that remained of the family of nine was momma and two kittens – Lenny, who is an SPF baby, and Noki who is KD. Momma had a long term foster home with another Kitty Devore Rescue foster family, Debra and Donald, who live in San Jose. She traveled to her new home in September. Lenny and Noki are still in Summer’s care. 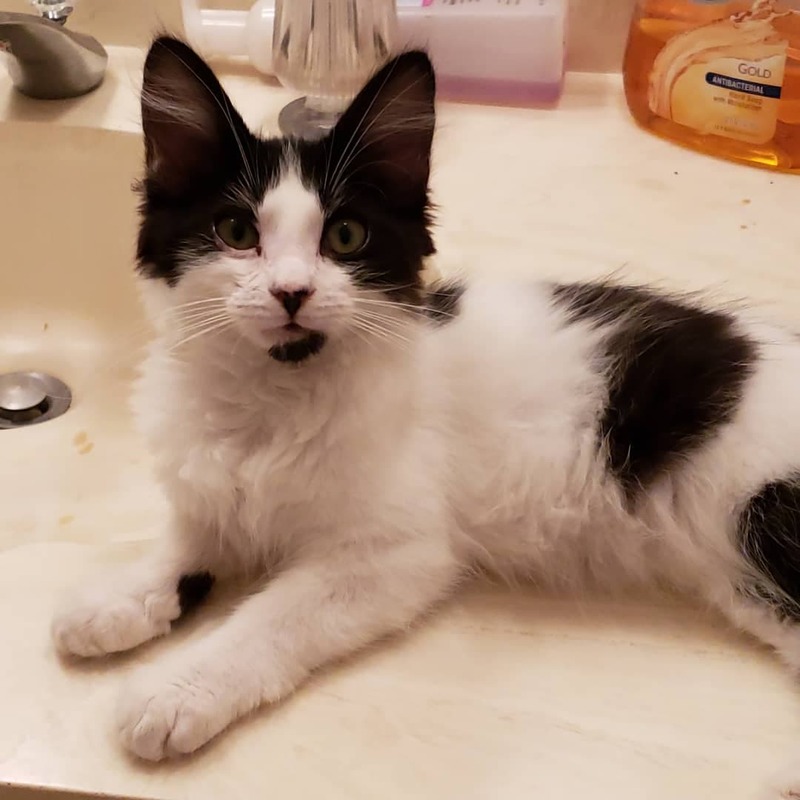 We weren’t sure if Noki would make it but, early in October, she was sent her microchip… which means she’s doing great and will begin her vetting process to get ready for adoption. And we know, when she’s ready, she’s going to be adopted quickly. Just look at that sweet face!